What’s Poppin’ Tonight! #KODMondays presents Zoey Dollaz Birthday Bash at King of Diamonds #RevoltMusicConference #RMC2016 ~ Phresh Hott New! Tonight! 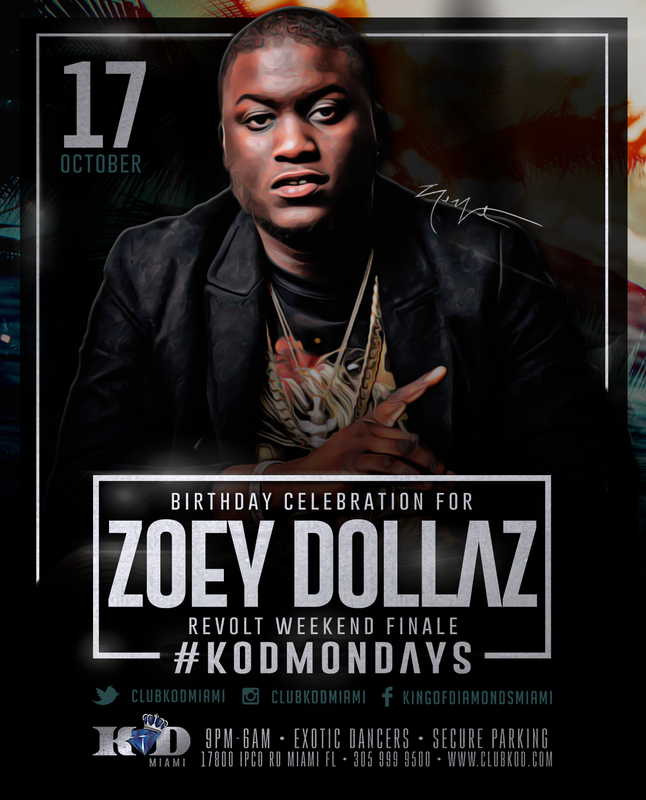 King of Diamonds Mondays Presents Zoey Dollaz Birthday Celebration + More at King Of Diamonds! REVOLT Weekend Finale!